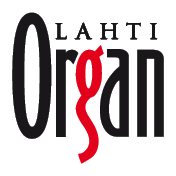 Become Lahti international organ asssociateion member by filling the form below. Will your payment you support Lahti organ association and organ music. As a members you discount or benefits in our yearly musical festival. Annual membership fee is 20€ and permanent membeship fee cost 130€. Fill and send the form below to receive post from Lahti organ week. You can join to memebership by paying 20€ to account: FI77 2028 3800 0397 35. Write your contact information as information to your payment.